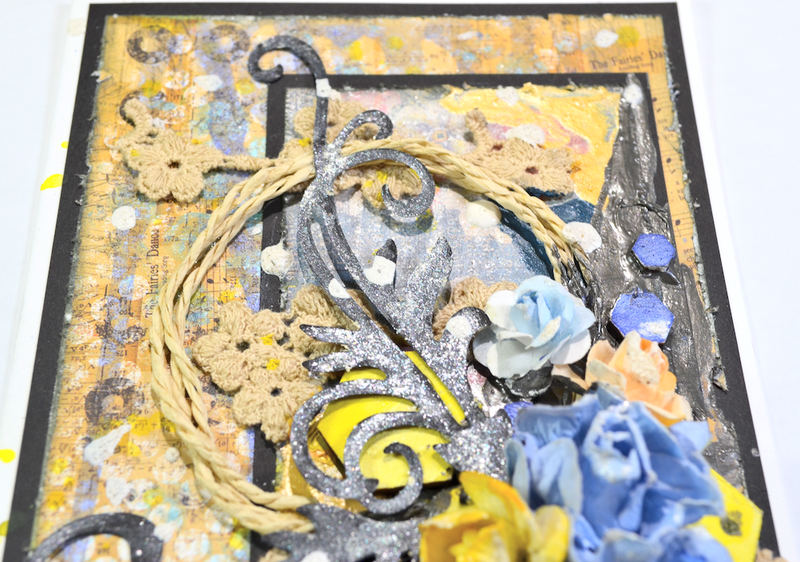 Today I am sharing a mixed media card I made for Shimmerz. I have been making bright color projects for a while and I feel like change up the color tone a little bit. This card is not really dark colored, but it is not my usually bright color style. And I just LOVE how it turned out!!! 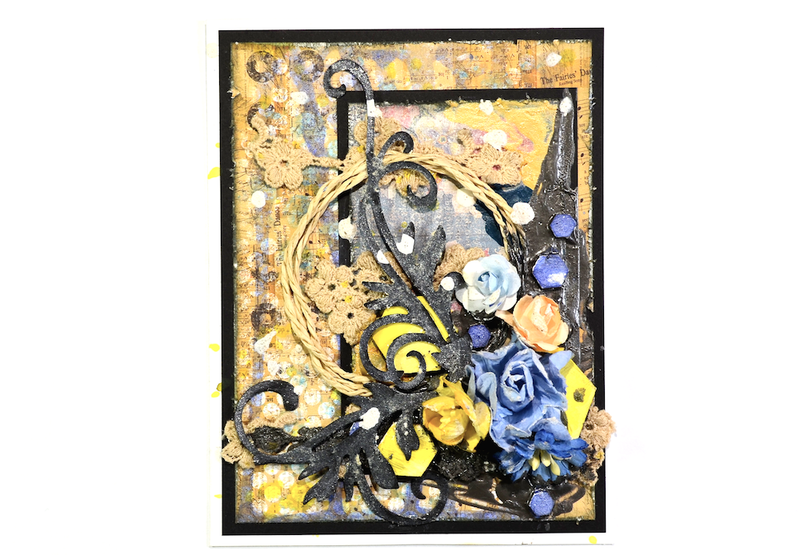 Those beautiful flourishes are just cut outs from my spellbinder dies. 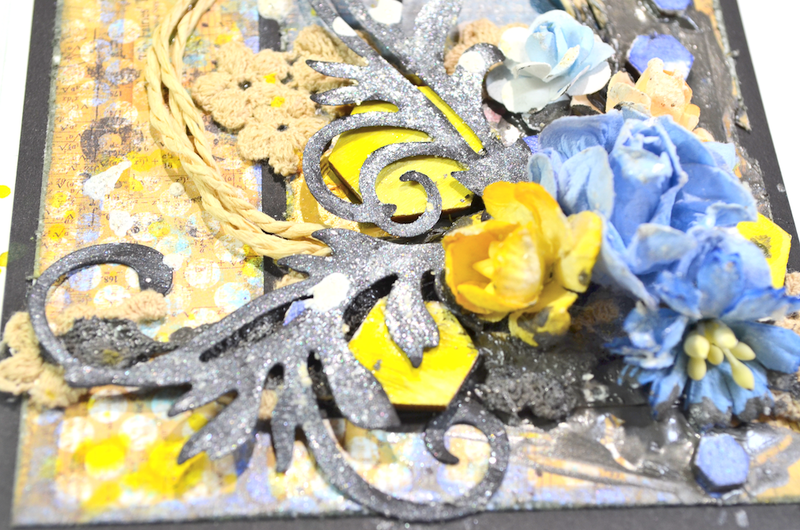 Those little flower trims are from prima. Of course, like always, tons and tons of Shimmerz product are used here. I painted the flourish with Shimmerz Candlelight to give more shine and more dimension. Hope you can see the super yummy shimmerz on there. I applied some Dimensionz in color Tauping You'll call onto the background, and before it dries, i put some wood hexagon pieces on there. So after it's dried, the wood pieces are also adhered onto the card. Thank you sooo much for looking!! !